Washington Car Insurance Quotes and Regulations « Car Insurance Calculator – Car Insurance Estimator for You! Commuters may need need to adjust their coverage according to the requirements of all relevant states involved. Occasional visits to other US states are typically not considered commuting. In these cases, most car insurance policies have a provision that will adjust your coverage from the minimums required in your state to the minimum insurance or proof of financial responsibility in another U.S. state. So you do not need to get a new insurance policy for each state you are driving through. If in doubt please check with your agent. However, if you buy for some reason a policy in a low limits state (like Washington or Virginia) but live in a high limits state (especially Wisconsin, Maine and Alaska come here to mind), insurers will only write a policy where your car is principally garaged. So if your home is in Alaska, you should buy the minimum limits for Alaska. Please check also the notes for trips to Canada. 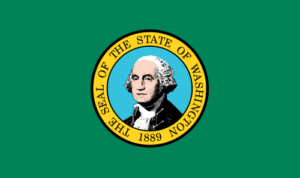 As in any US state, Washington’s required insurance limits are low, considering the cost of repair and damages likely to occur in an accident. If you are in a serious collision and the damages you caused are greater than the coverage limits you purchased, you may be personally liable to pay for those damages that exceed your insurance coverage. Adding more coverage to your policy is for most drivers actually a cheap option to augment their financial protection in the case of a real incident. Washington is a comparative negligence state. A comparative negligence legal defense is one that reduces the amount of damages that a claimant/plaintiff can recover for an injury due to negligence based on percentage of which the claimant’s/plaintiff’s own negligence contributed to cause the injury. So, if you have an accident, you and the other driver could be each at fault for 50% of each others’ damages. However, just because you have the same percentage of fault, does not mean you “cancel” out each other damages. You will have to pay for 50% of the other driver’s damages. So if you total their $50,000 car, you will be liable for ½ of the damage you caused – $25,000. In Washington, a first time offense of Driving Under the Influence (DUI) is treated as a misdemeanor offense. If you are 21 years or older, if you have a Blood Alcohol Content (BAC) level of .08% or higher while driving, Washington law presumes you are driving while intoxicated. Washington also refers to BAC as Alcohol Concentration Level (ACL.) If you are under 21, a lower BAC may apply to you. If convicted, you may be sentenced for a minimum of 1 day up to 1 year in jail, depending on aggravating factors and if your BAC is .15% or greater. A court fine of at least $866 and up to $5000 may be imposed. You will also be responsible for other court fees. Your license will be suspended for at least 90 days up to 180 days. An ignition interlock device is required if you are permitted to have a restricted license. You may be required to obtain drug and alcohol counseling. SR-22 or FR-44 forms are required for DUIs in Washington. Check this page for more information on these forms. If convicted, you may be sentenced for a minimum of 30 days to 1 year in jail and a minimum of 60 days of in home monitoring with an electronic home breathalyzer. Fines may be imposed of at least $1,121 and up to $5,000. Your license will be suspended for a minimum of 2 years and up to 900 days. You will be required to install an ignition interlock device for 3 years after your license revocation. SR-22 or FR-44 forms are required for DUIs in Washington.